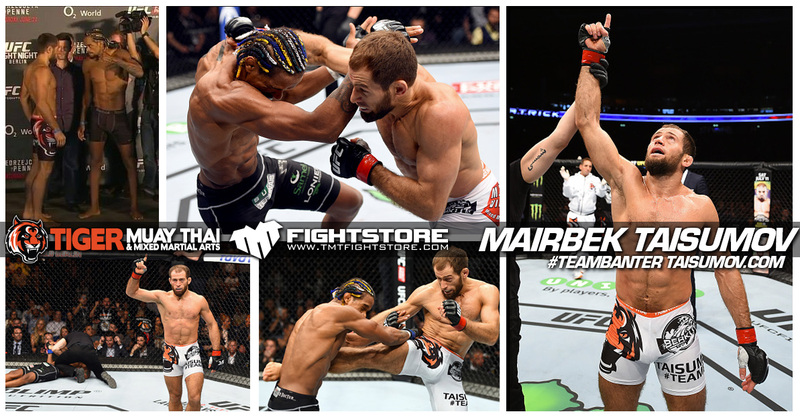 Congrats to TMT Fighters Mairbek Thaisumovs & Nick Hein to their UFC victories this weekend! Congrats to TMT Fighter Mairbek “Beckan” Taisumov on his TKO win over Alan Patrick in UFC Fight Night Berlin – Jedrzejczyk vs. Penne this weekend. Securing his 4th UFC victory with a headkick followed by a flurry of punches on the ground! Follow Mairbeck on Instagram and Facebook. Congratulations also to TMT Fighter Nick Hein who defeated Lukasz Sajewski via unanimous decision getting his 2nd victory inside the octagon. Awesome work by all the guys and the whole Team!